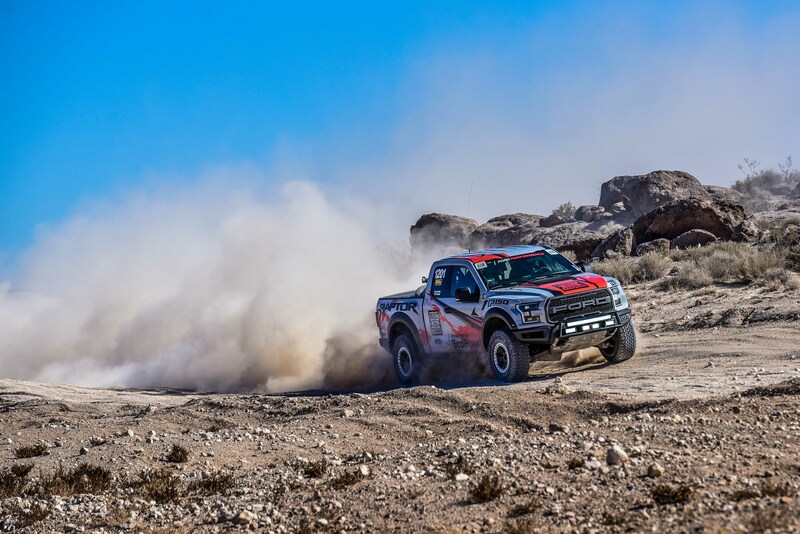 Leading up to its debut in 2010, Ford left no stone unturned while cultivating the ultimate desert weapon: the Ford F-150 Raptor. 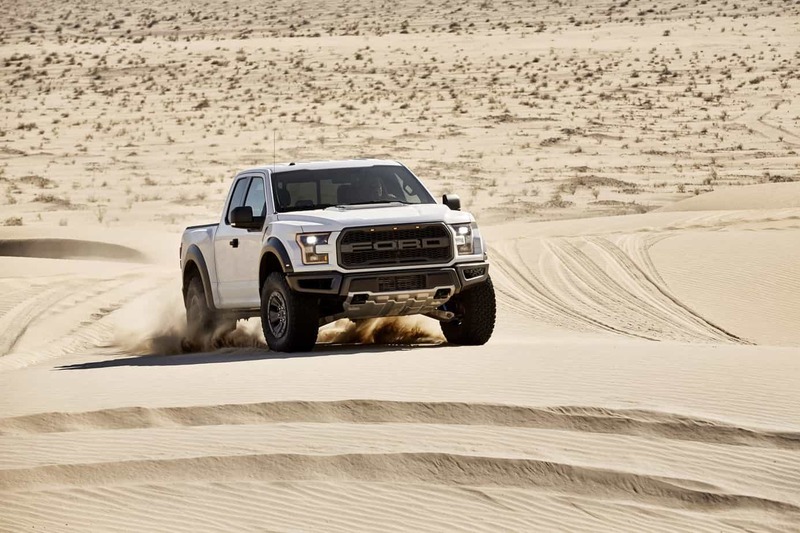 Still poised firmly at the top of the class it created, the all new Raptor promises substantial improvements over its predecessor. The fully revamped, soon to be released 2017 model is better in every way imaginable. 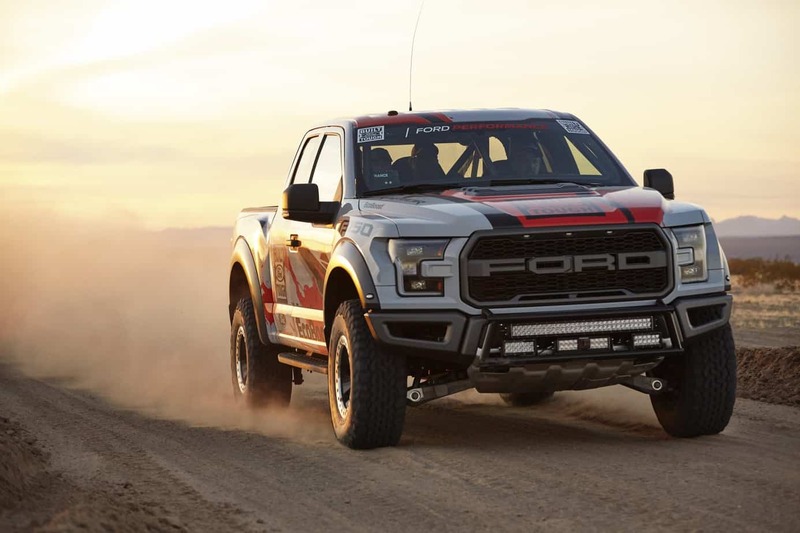 According to Ford, it will be lighter, faster, more powerful, and pretty much more awesome in every way -from engine to suspension, to the vehicle specific chassis, everything is new. Ford has shared some of the details of the overall improvements, but still remains tight lipped ahead of the autumn 2016 release date. 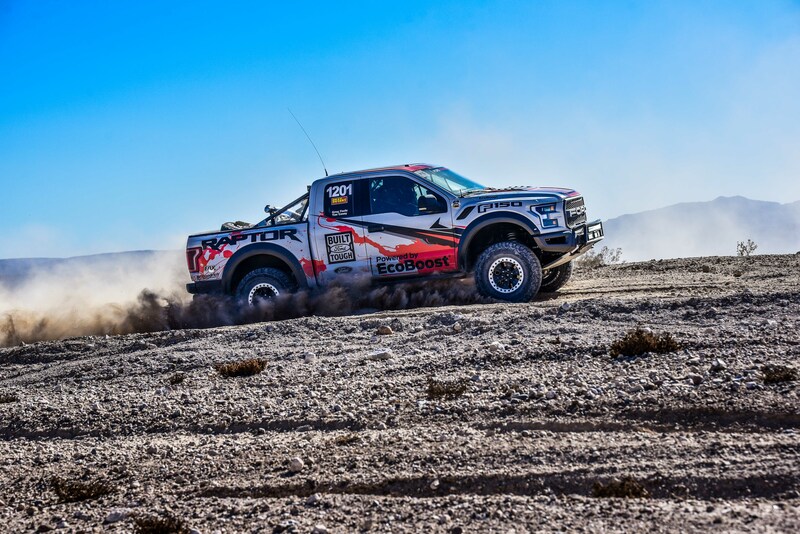 Here is what we do know: Fox Shox have been at the very heart of the Ford Raptor since day one and that hasn’t changed. The 2017 model will sport a 3” variable damping internal bypass shock arrangement, increased from 2.5” previously. The upgraded Fox Shox and some incredibly beefy aluminum front control arms will be suspend an all new boxed steel frame made specifically for the Raptor platform. 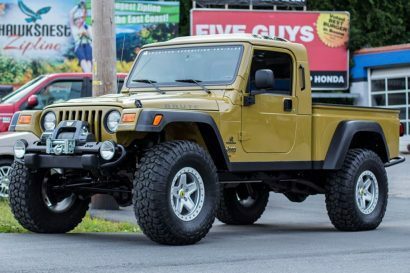 An all aluminum body along with composite fenders and hood help to shed nearly 500 pounds from the new chassis, and provide a facelift for the new model. This may come as a sad news to some, but it’s not all bad. Ford has decided to drop the throaty 6.2 liter V8 in favor of a well sorted, second generation 3.5 liter V6 -let this sink in for a second. 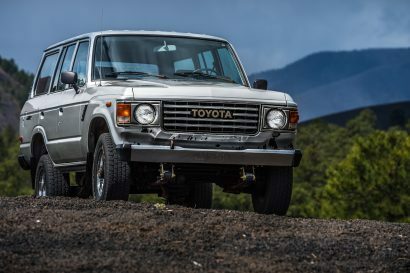 Don’t worry, this won’t be the standard 3.5 that’s found in the F-150 lineup. Instead you can expect a second generation, fire-breathing, twin turbo, direct injection EcoBoost powerplant (say that three times fast). Although they haven’t hinted at how much power the six cylinder will make, they did promise that it will be more than the 411 hp and 434 lb/ft of torque the current 6.2 liter V8 produces. Some welcomed refinements have been made as well. 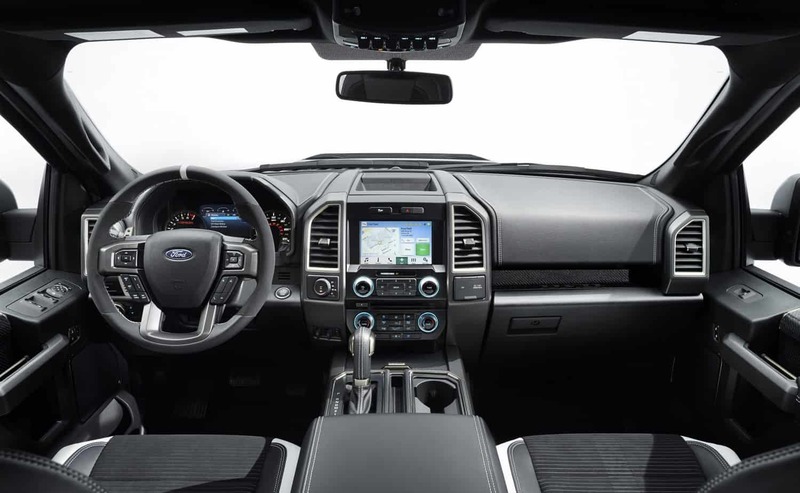 Somehow, amongst the massive diet, Ford has managed to upgrade the interior with a more luxurious fit while retaining the sporting feel of the older model -they are waiting for the release to reveal the specifics of these changes. We do know there will be paddle shifters on the steering column and contrast stitching on the bolstered seats. There will also be improved passenger safety features and an optional 360 degree camera. 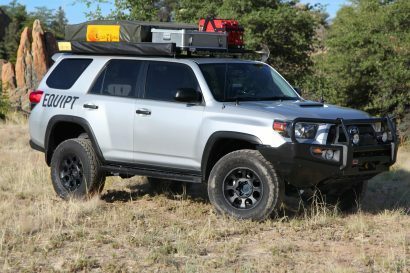 BFG KM2’s will encompass a set of beadlock capable wheels and will also benefit from an on demand transfercase, a torsen limited slip differential (front) and an all new “Terrain Control”. The new Terrain Control is reminiscent of the Land Rover and Jeep Grand Cherokee terrain control systems and has the following functions: Rock Crawl / Sport / Baja / Mud / Sand / Weather, each with its own set of unique parameters for handling and traction details. Unlike Land Rover and Jeep, these functions will be controlled via buttons on the steering wheel, which makes them much easier to access while storming the sand dunes. The SVT team has an uncanny ability to create custom projects that alter a seemingly benign vehicle into a fire breathing monster. 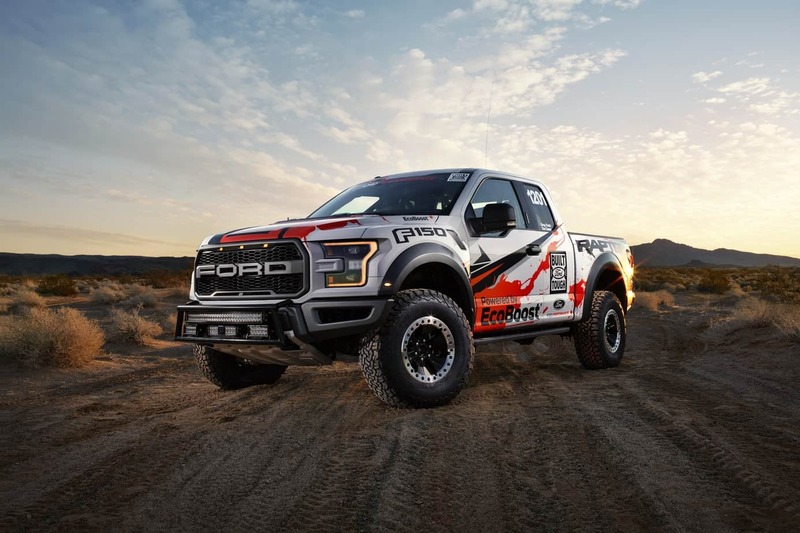 Where other companies tend to swap in a set of fancy wheels and tires, bolt on a custom exhaust, and create a fancy decal wrap, Ford has a habit of completely reinventing the entire package. 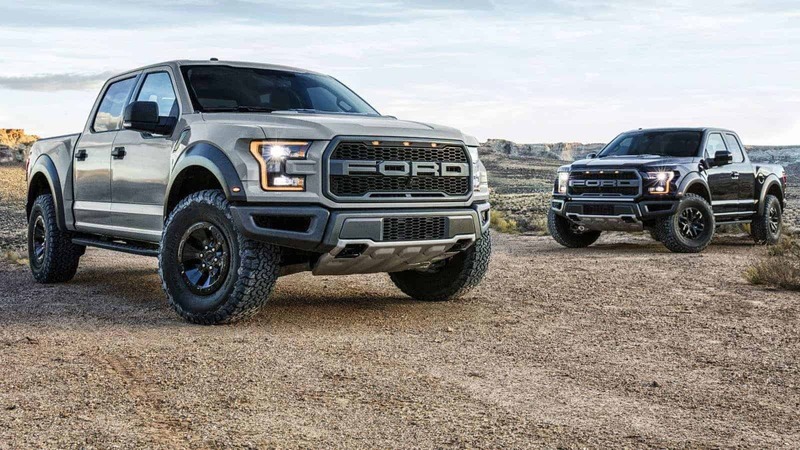 Compared with the Chevrolet Reaper concept, and Dodge Ram-Runner the Raptor remains to be bested. *3.5 turbo EcoBoost will make more power than current 6.2 l V8 which currently produces 411 hp / 434 tq -Ford has not released the expected out.